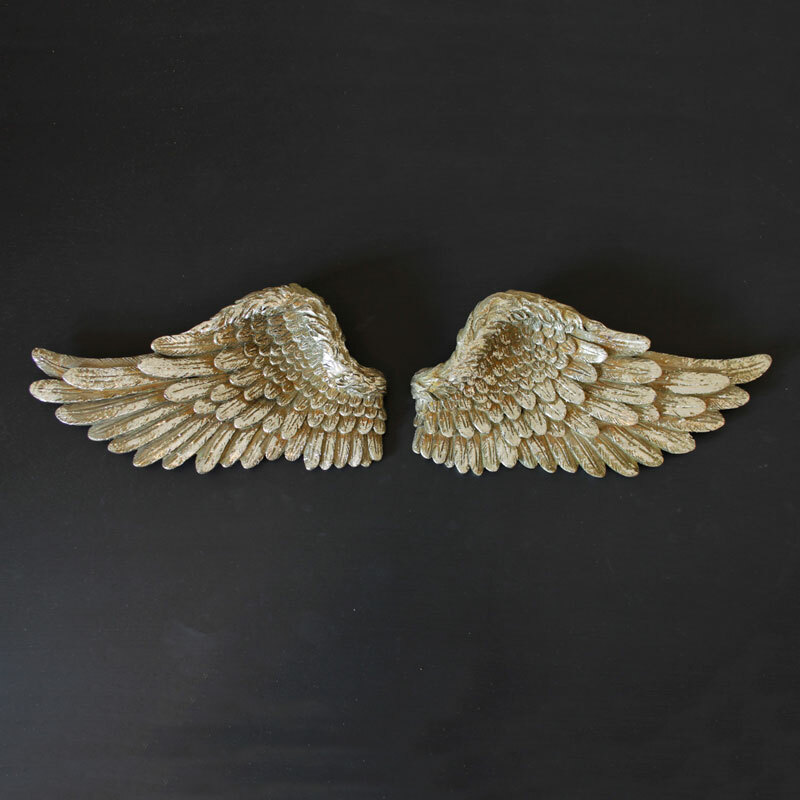 From the homeware and giftware collections, this is a set of 2 wall mountable Angel Wings which are made from resin, and finished in silver paint which has been distressed for the vintage feel. There is strong feather detail on each wing. We stock a larger version in both cream and in gold. 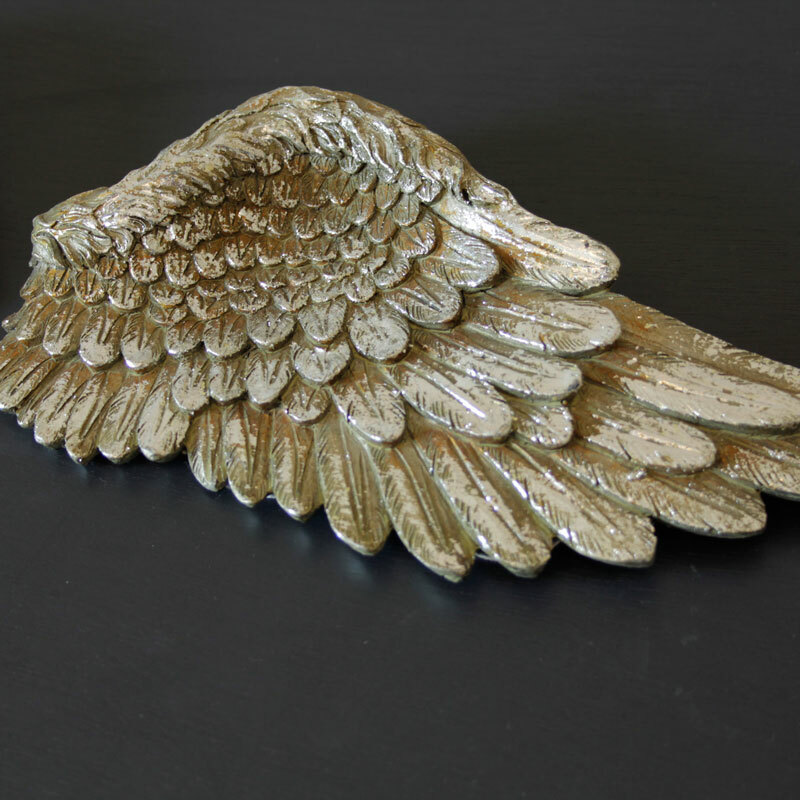 This one is 22 cm x 10 cm (width x length) for each wing.